Nov. 7, 2016, 11:14 a.m. Through the collaborative reporting project Electionland, outlets from across the country are coming together to report on issues like voter ID laws and long wait times. By Joseph Lichterman @ylichterman Nov. 7, 2016, 11:14 a.m.
At 2:54 p.m. last Monday, Houston Chronicle investigative reporter Matt Dempsey received a tip: Voters in Southeast Houston were being told they couldn’t vote, even though they had identification that complied with Texas’s voter ID law. The report came from Electionland, the collaborative reporting project, led by ProPublica and six other organizations that is covering voting access across the country. Electionland is publishing the reporting on its own website and sharing leads with other outlets to cover on their own platforms. The Houston tip originated with Electionland partner Election Protection, a project of the Lawyers’ Committee for Civil Rights Under Law that lets people report voting problems by phone. Electionland then passed the information along to the Chronicle and to Houston’s Univision affiliate, the two local news orgs participating in the project. The Chronicle followed up on the tip. An elections official in Harris County, where Houston is located, said there were no problems with voter IDs. Electionland then sent the Chronicle more instances of ID issues and long waits in the county. Chronicle reporters who went to the polling places identified in the tips witnessed problems with signage and poll workers providing incorrect information to voters. On Wednesday, the paper published its story. That wouldn’t have been possible without Electionland, Dempsey said. More than 450 journalists from about 250 news organizations in 47 states (plus Washington, D.C.), and students from 14 journalism schools, are participating in Electionland. In all, more than 1,100 people are involved in the collaboration. The project is free for the outlets to participate in; they just need to properly credit Electionland in their reporting. The project will culminate on November 8, Election Day, with more than 100 journalists working out of a newsroom at the CUNY Graduate School of Journalism. Electionland launched in October as early voting began across the country. Because ProPublica is an investigative outlet, it normally doesn’t cover breaking news on Election Day, but it conceived of the project as a way for it to cover the election in real time. “When we started this, what we had in mind was a story that looked at the phenomena of long lines, election administration, and provisional balloting,” said Scott Klein, ProPublica deputy managing editor. But interest in the project really took off once Republican nominee Donald Trump began hinting that the election was rigged. Many of the groups working with ProPublica have developed tools for reporting on election issues. First Draft, working with the student journalists, is leading content verification; the Google News Lab is analyzing search trends and data; and the USA Today Network and Univision are using their affiliates across the United States to report on tips that Electionland receives and verifies. On Election Day, CUNY will host more than 100 journalists in its New York newsroom, and much of the fact-checking and social media verification will take place there. Once reports are confirmed, they’ll be sent out to the local reporters around the country. Reporters at CUNY will be able to broadcast live on TV, radio, and Facebook. The early voting period has served as a dry run for the student journalists, said Andrew Mendelson, associate dean of CUNY’s journalism school. “The students are learning these amazing skills in verification, in brainstorming the keywords that are going to be really useful for finding these concerns out there. Is it ‘voting violations?’ Most people don’t speak in that language, so then you have think about ‘long lines,’ ‘rigged,’ whatever the words are. You need to figure out how people could spell it incorrectly on social media,” Mendelson said. The team is using resources like Google Trends; Facebook Signal; Dataminr; Check, a tool created by Meedan to verify and source social media posts; and Slack to collaborate. WNYC also developed some original tools for the project. The public radio station repurposed a tool it built for New York municipal elections that allows voters to send SMS text messages detailing their voting experience to the newsroom. As of last week, Electionland had received about 1,000 tips through this process, said John Keefe, WNYC’s senior editor for data news. The texting service allows journalists to follow up with potential sources in English, Spanish, or Chinese. 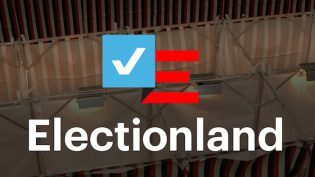 WNYC developer Alan Palazzolo also built Landslide, a dashboard that collects and organizes all the information the Electionland coalition receives via text, online forms, and elsewhere. People on the Electionland team can then sort the responses by area. “That was built from scratch in the last two weeks,” Keefe said. 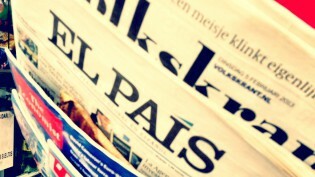 One of the goals of the project is to promote local reporting, but a number of national outlets have joined as well. ProPublica reporters will be focused on national stories, and outlets such as ABC News, The Washington Post, The New York Times, and BuzzFeed News are all involved. ProPublica and Electionland are preparing for the possibility that the election might not be called on Election Day, but once the race is over, Klein said they’re going to begin thinking of what’s next. They’ll have an immense amount of nationwide data on voting issues that they could use for future stories, and Klein said they’d like to potentially organize large-scale collaborations like this in the future. Photo of early voting in Allen County, Indiana, on November 1, 2016 by Allen County Public Library used under a Creative Commons license. POSTED Nov. 7, 2016, 11:14 a.m.
Lichterman, Joseph. "More than a thousand reporters and students are collectively covering voting problems on Election Day." Nieman Journalism Lab. Nieman Foundation for Journalism at Harvard, 7 Nov. 2016. Web. 19 Apr. 2019. Lichterman, Joseph. "More than a thousand reporters and students are collectively covering voting problems on Election Day." Nieman Journalism Lab. Last modified November 7, 2016. Accessed April 19, 2019. https://www.niemanlab.org/2016/11/more-than-a-thousand-reporters-and-students-are-collectively-covering-voting-problems-on-election-day/.